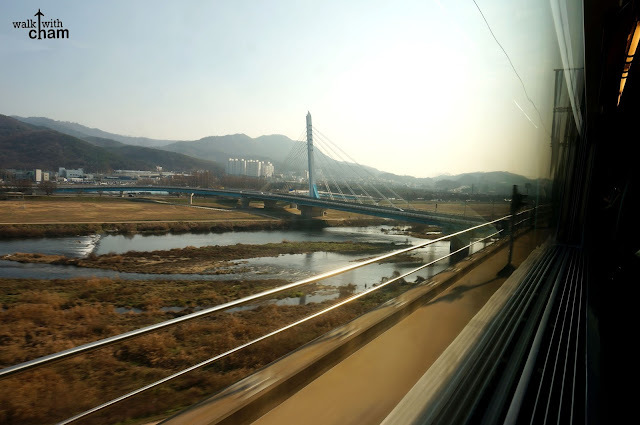 Walk with Cham inside KTX from Seoul to Busan. After our freezing episodes in Seoul for 6 days it was time to move to a different and warmer city (new year, new city!) Busan is located in the southern part of South Korea so during winter season the weather is more tolerable in Busan. Busan was also our exit point going back to Manila so if you have the same itinerary as ours (Manila- Incheon -Busan -Manila) and want to try the same thing that we did, here is the detailed course we took from Seoul to Busan. Via Bus - cheapest and longest travel time. This option is advisable if you are not in a hurry, want to save money and if the bus will stop in the area near the place you are staying. 1. Faster than Bus. 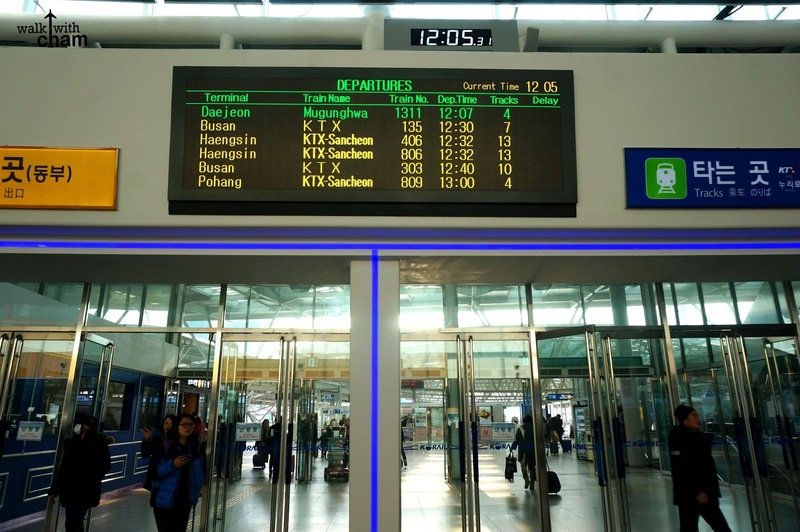 Its travel time from Seoul to Busan is 2 1/2 hours as compared to the 5 hour travel time via bus. 3. KTX station is a walking distance from our Busan Airbnb. Securing your ticket before the actual departure date is really important especially if your destination is a tourist spot. Booking in advance can guarantee you a sure seat unlike if you book on the same day, chances are you won't get your preferred schedule or you'll be forced to stand during the whole course of the travel (not a good idea). So for the benefit of everyone I made a step-by-step procedure on how to book your KTX ticket online from Seoul to Busan. - You can click on the train number to check the number of train stop stations and the arrival time for each station. For KTX 135 it has 4 stops. Kindly double check the information. Providing the incorrect information will cause your ticket to be denied. 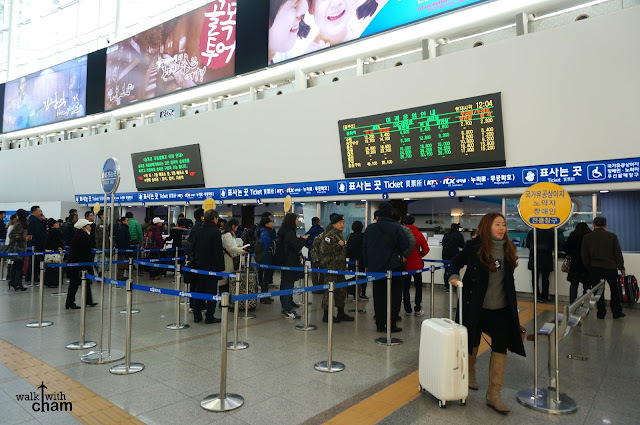 It's important to print your reservation details to exchange it for the actual ticket at any Korail Station before departure time. 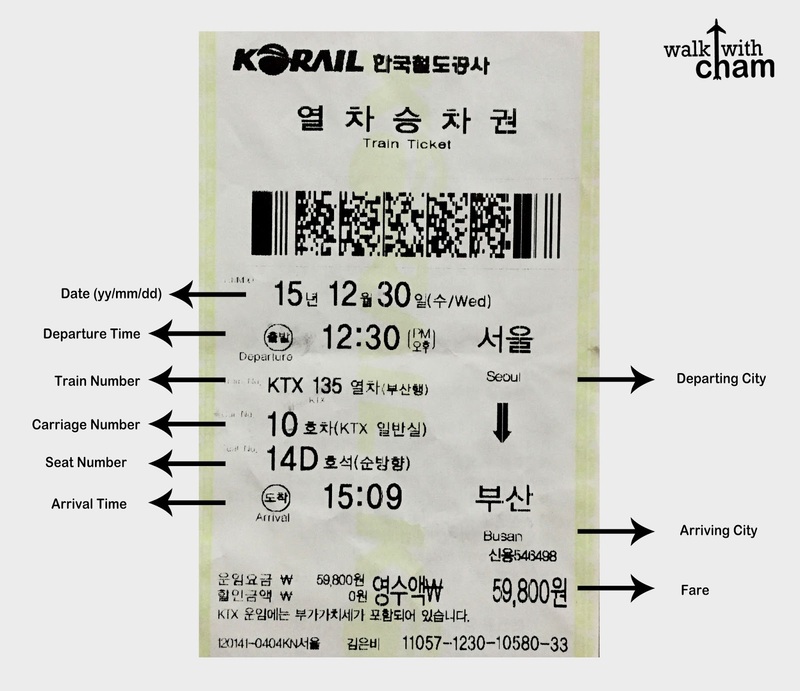 Present the printed reservation details at any Korail Station. 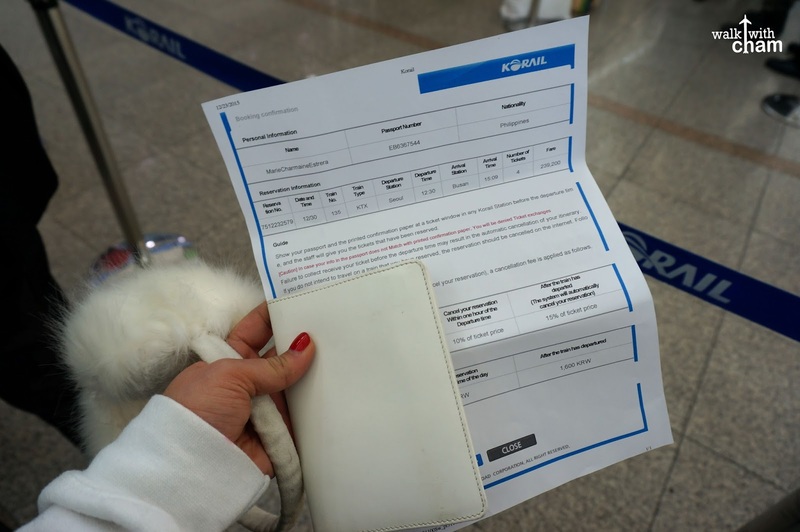 We got ours at Seoul Station 30 minutes before our departure time. Show the printed reservation together with your passport. 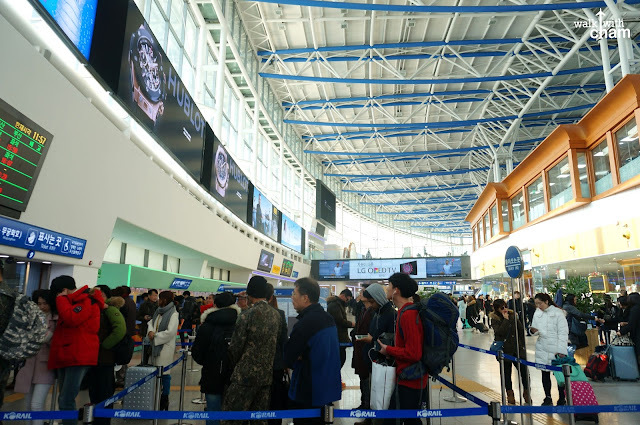 The main station that connects Seoul to other key South Korean provinces or cities, it is also connected to Incheon International Airport. The most popular destination it caters is from Seoul to Busan and vice versa. 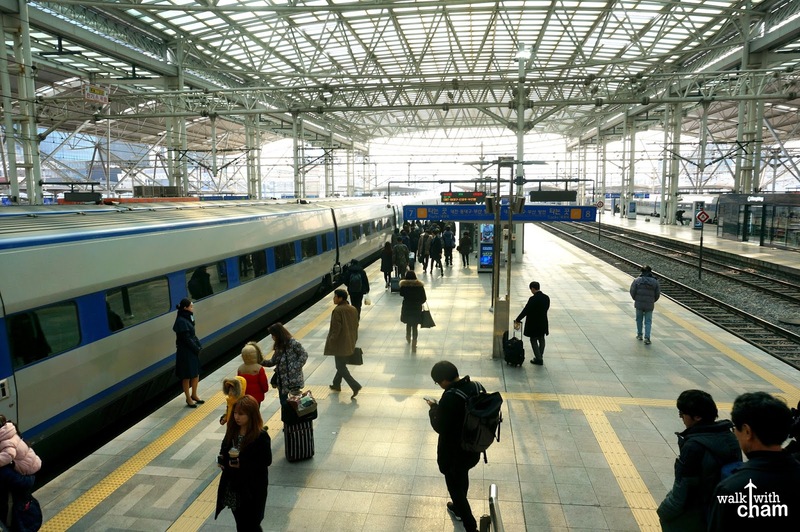 Seoul Station is not as chaotic and strict as the railway stations in Beijing - read Sleeper Train from Beijing to Xi'an China. Seoul Station is clean, less crowded and smaller than in Beijing plus they are very lenient that no one even inspected our luggages upon entering. 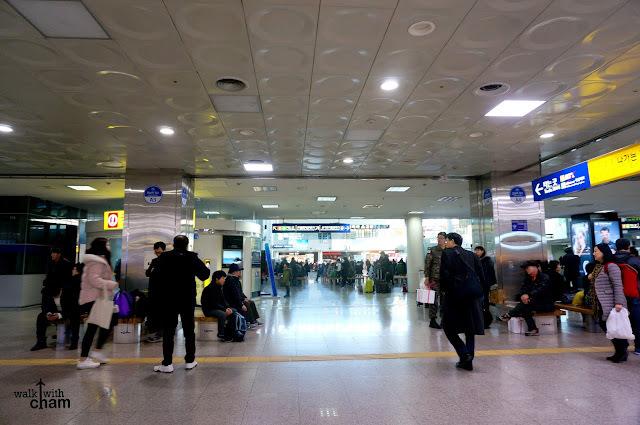 Alight Seoul Station (Subway Lines 1, 4, AREX and Gyeongui Lines), Exits 1 and 14. The track number is not indicated in the ticket. The lady from the ticket booth just told us the track number and the directions so we didn't have a hard time looking for our train. 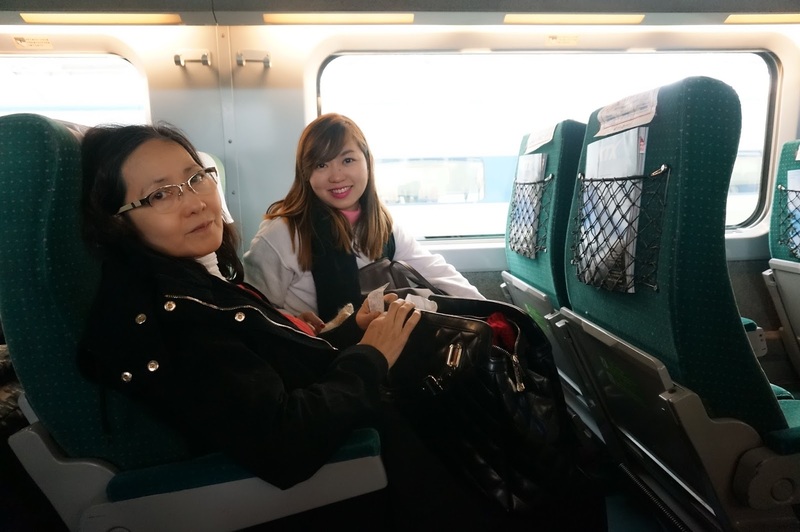 Looking for our train was a breeze and because we were there 30 minutes before the departure we immediately checked in and stored our luggages at the luggage compartment. Good thing we came in first as the luggage compartment was not that big, it was just right for all our 4 big luggages (too bad I forgot to take a photo). So if you have many luggages it's better to be there early so you won't be having a hard time looking for a place to store your luggage. Car or carriage number and seat number are indicated outside the train near each door. After securing our luggage we looked for our seat number and sat comfortably. The train departs on time so better to be on time. 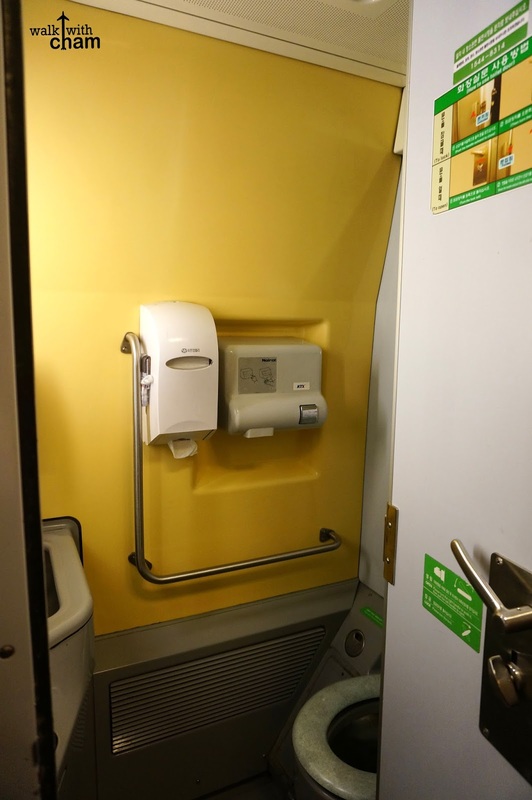 The toilet close resembles an airplane toilet, compact, has water and toilet paper. Each carriage is equipped with a toilet. 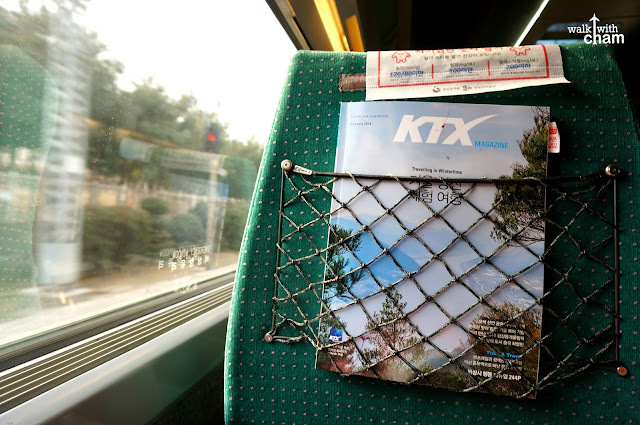 KTX Magazines are available for your reading needs and food trolley for light snacks are available too. I bought a piece of bread for 3,000 won (P120). 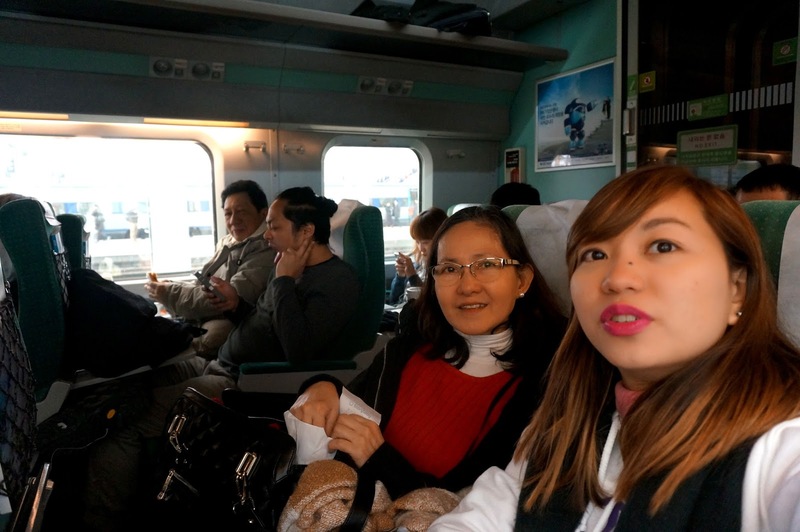 At 3pm we were already at Busan KTX Station. 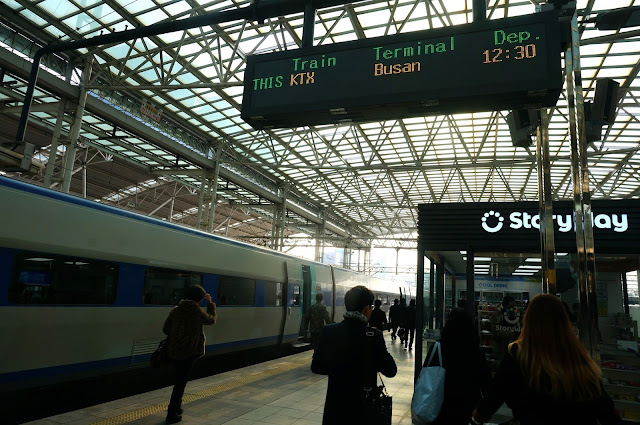 John, our Airbnb host was already waiting for us at Busan Station (which is just a quick walk from KTX station). So we weren't able to roam around the station anymore instead followed their detailed direction going to Busan Station. Hi, Here is more tips for taking a KTX. If you are between 2 and 5 people, you can buy the 'saver pass'. 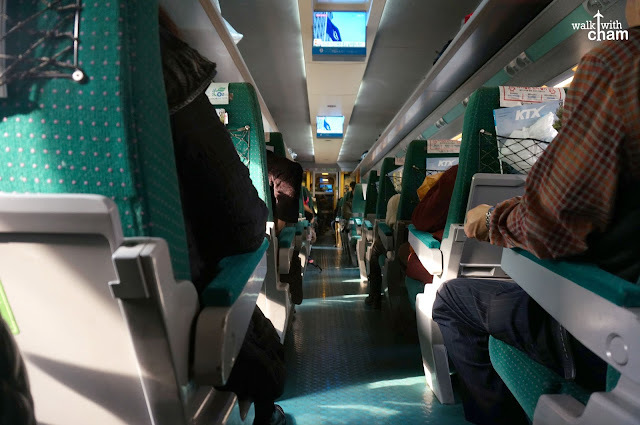 There are some different types of 'Korail Pass'. If you are between 13 and 25, you can buy the 'youth pass'. 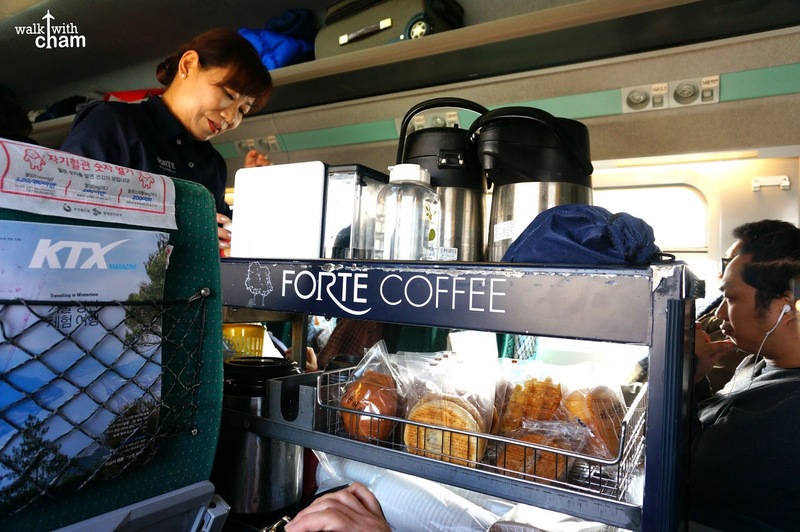 With 'Korail pass', you ca take all KTX whenever you want. 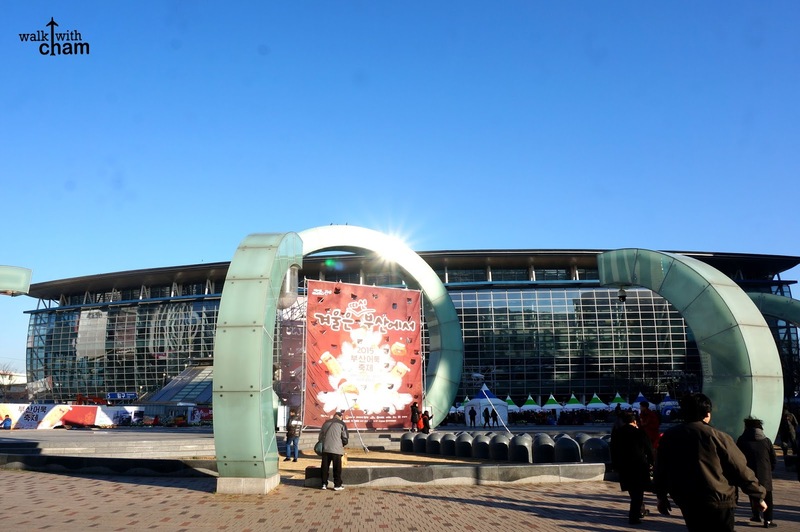 If you are interested in travelling to out of Seoul like Busan, Singyeongju, Dongdaegu etc. , I strongly recommend to buy this pass. You can get more information and make a reservation from 'http://www.letskorail.com/ebizbf/EbizBfKrPassAbout.do'. Check this homepage if you want to buy the 'Korail pass' Thanks. Thank you for the additional input, Zhenying! I am planning to travel to busan this year june. May i ask if the ticket that you purchase is a one way trip? Means if i will like to travel (eg from 11 jun and come back on 12 jun) i will have to submit 2 transaction? Could i check with you if you have purchase ktx ticket travelling back to busan to seoul? Hi! reading your blog, i realised that there is an option for the train timing. it is however, when i booked my ticket online, they did not ask for our preferred timing. did you choose your timing at the counter or online? and do you know the train schedule ? hello. would you be able to advise where did you stay in Busan? many thanks. Did it require you to enter all the information of the passengers? I'm stuck in a page where after I enter my information it is already requiring me to enter the credit card info. Do I need to enter the other passengers info? Hey there.. I have booked the KTX normal pass and had indicated that 4 people are going.. when i print out the 4 tickets online.. all the names are the same.. is it normal?..